Mill Park apartments is an affordable housing community with 2 Bed(s) to 3 Bed(s) apartments units. Lyndon Heights apartments is an affordable housing community with 1 Bed(s) to 2 Bed(s) apartments units. 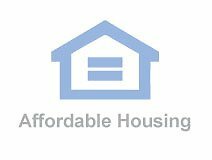 Caribou Congregate Housing apartments is an affordable housing community with 1 Bed(s) apartments units. Townview Estates apartments is an affordable housing community with 1 Bed(s) to 2 Bed(s) apartments units.